One of the latest system of irrigation which is becoming increasingly popular in regions with severe lack of irrigation water and salt problems. 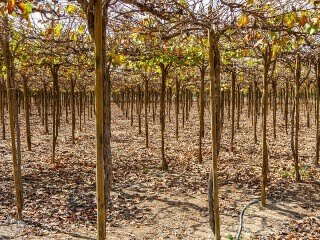 In drip irrigation system, the water and fertilizer are gently and directly applied to the 'root zone of the plants, in order to reduce the losses due to evaporation and percolation. In this method, the water requirement is very low, since the water is given directly to the plant. loss of water due to evaporation and percolation is negligible. Due to the direct water supply to the plants, the ground surface is the least wetting. Competent for all types of soil, especially for coarse-textured soil. The highest rate of growth of the crops. There is no needed to land leveling, so the labor cost is less. Reduce the harmful effects of salt. Low labor requirements(labor cost is less), as most drip systems are permanent setups. Plastic drip-lines and sub-mains pipe may be attacked by rodents and small animals. Regular flushing is required to clean up the soil which collected near the ends of the drip lines. High skill labor is required to operate and maintain.